We’ve been working diligently on our iPhone apps. 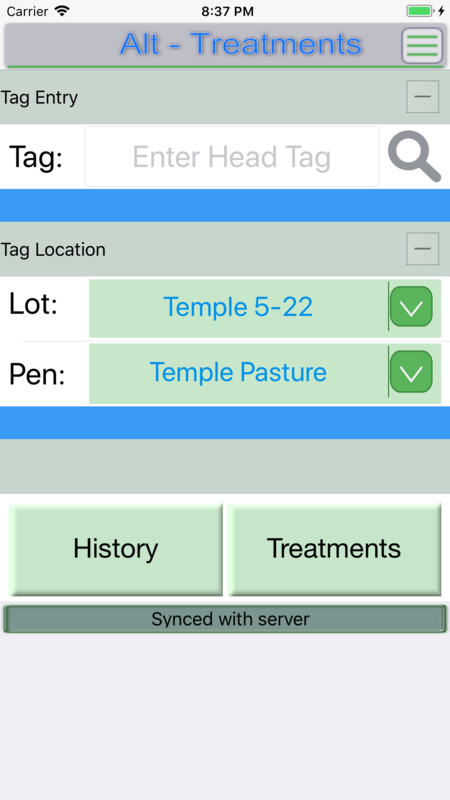 There are updated versions of both the treatment app(right), and the post feed app(left). The changes in these apps make them more stable, look more appealing, and are easier to use. We have, also, created manuals for these apps as well so if you need one please reach out to us and let us know. The breakeven app is the next on the list to have a makeover. The new app will have a similar look and feel to the other apps, but, also, add functionality that the Android app has had for quite a while. 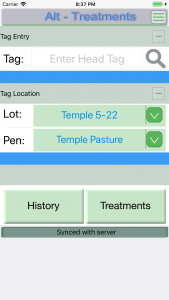 The new version will have the ability to sync with ALT to bring in ingredient, ration, and micro data. 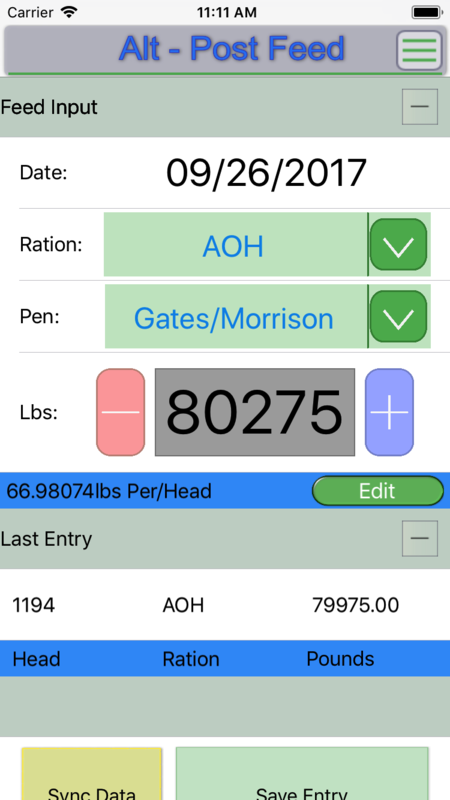 You will be able to edit and add to this information from your device if you would like, or just use what comes from ALT. 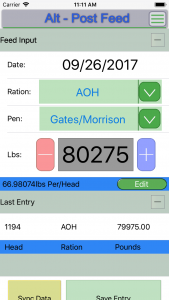 These values can then be used to create a more accurate calculations, and, also, provide a load calculator. This app does add quite a bit to what it originally was and will take more time then the others app where it was mainly interface changes, but will be out before 2018.